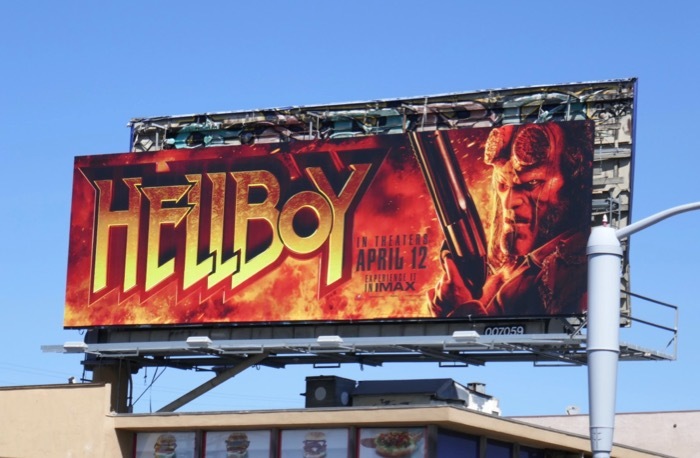 Pet Sematary isn't the only movie to get a 2019 makeover this spring, as Mike Mignola's Hellboy returns to the big screen with Stranger Things David Harbour in the rebooted role. 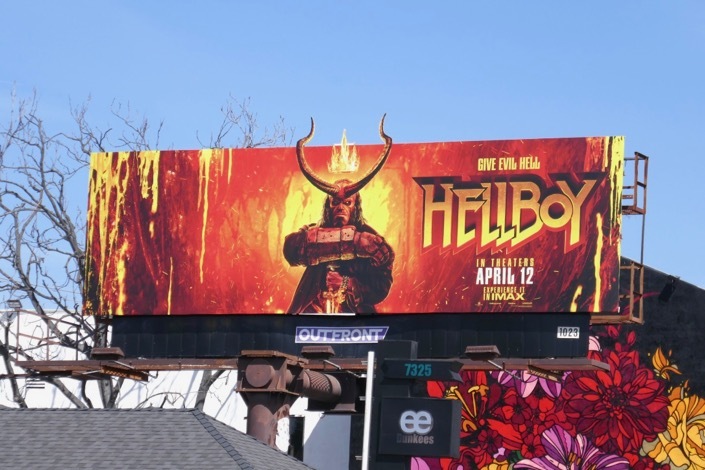 The Dark Horse Comics supernatural character was formerly brought to life by Ron Perlman and director Guillermo del Toro for two live-action outings in 2004 and 2008, but for this installment the devilish hero is directed by Neil Marshall. 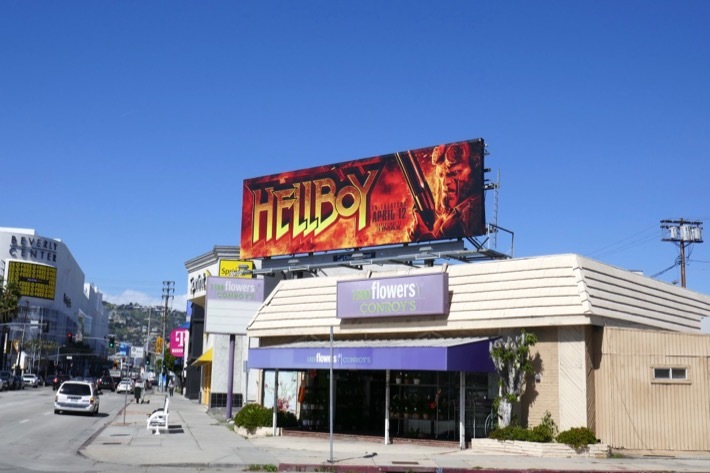 This time around the demon raised by the Bureau of Paranormal Research and Defense, and his Right Hand of Doom, will take on a 5th century sorceress (Milla Jovovich) hell-bent on London's and the humanity's destruction. 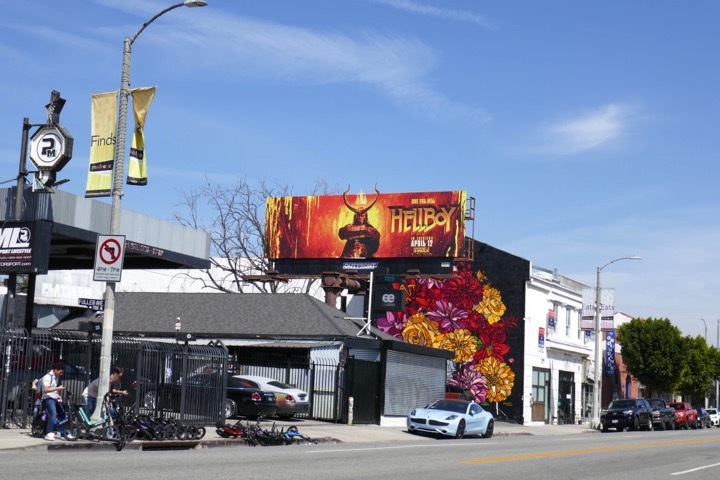 These movie billboards were snapped along La Brea Avenue, La Cienega Boulevard, Beverly Boulevard and Melrose Avenue from March 26 to March 29, 2019. 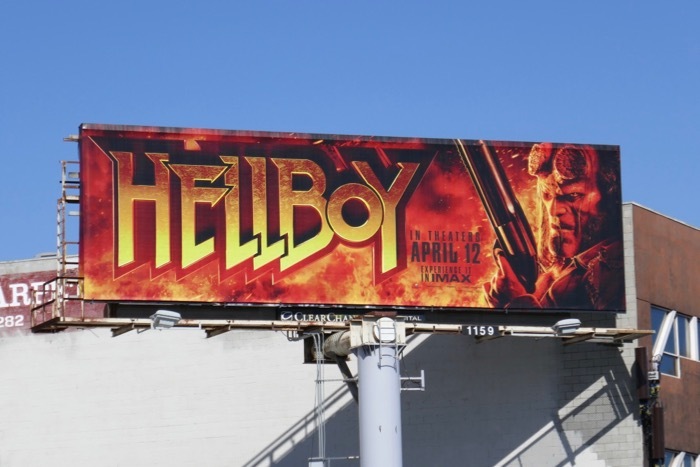 Fans of David Harbour can also enjoy these billboards for Stranger Things, whilst aficionados of the occult superhero can enjoy these costumes and props from the previous Hellboy movies. 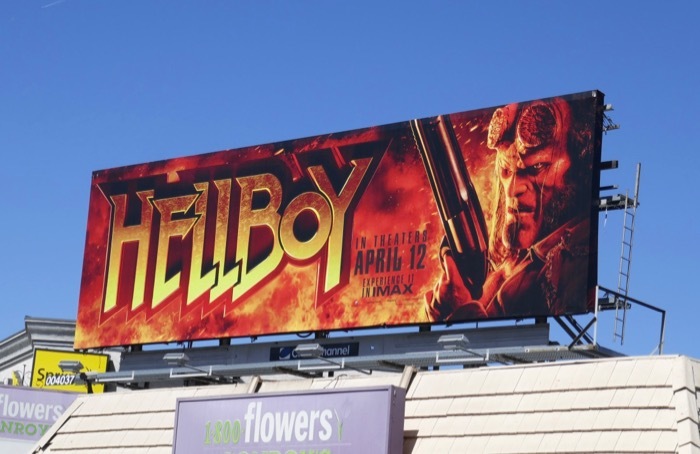 When the supernatural and humanity collide, which side will Hellboy find himself on? Do you even have to ask? Time to give evil hell.